This Christmas you can give a friend or loved one the ultimate Christmas Gift; the gift of silent flight! 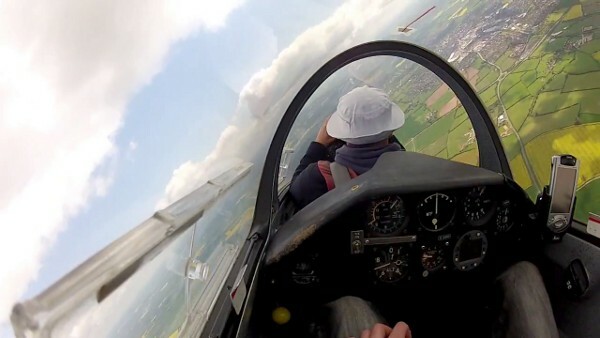 Give them a gliding adventure they will not forget with a £50 Gift Voucher taster lesson in one of our dual-control, two seat training gliders or a £70 Gold Voucher for two flights in a glider at Stratford on Avon Gliding Club on the same day! Our Gliding Gift Vouchers are presented as a Gift Card with an area for you to include a greetings message for that special person. You can buy a Gliding Gift Voucher securely via Paypal by using the drop-down menu on the top right of the page. You can also view more information on our Gliding Lesson Vouchers. Please order before 19th December for delivery before Christmas. This entry was posted in News and tagged christmas, gift vouchers, trial lessons by admin. Bookmark the permalink.